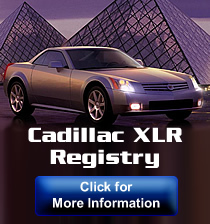 We review the 2005 Cadillac XLR and think about how this is a slumlord's idea of a "Rich Person's Car." No offense to you Rob but I listened to about 2-3 minutes of that, skipping around, & to me it's trash not worth posting on a site for "XLR owners & enthusiasts." I will agree with member XLRATING ,,,,, trashing the XLR video doesn't belong on this website. 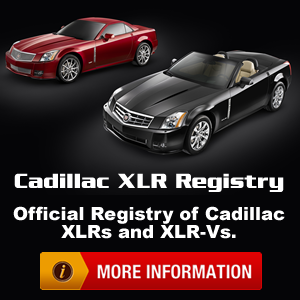 Very degrading to those of us who own the car and come to this website to enjoy and learn about the XLR. If you feel the video accurately describes the XLR, then vote to keep this thread and video alive. The video also elaborates on the problems with earlier Northstar V8s................ while the XLR uses the updated and improved LH2 Northstar engine beginning in 2004. Obviously, the video producer wasn't clearly brought up to speed about the Northstar engine. I commented on the original blog and corrected him on all the above. I also challenged him to come do a review of ELWOOD ... haven't heard from him yet. A want-to-be-comedian doing car reviews. My son sent me a likn to this today, didnt realize it had been posted here. If you watch any more of their reviews they all run along the same vein. Life is too short to take these things too seriously. Have a good laugh - and the last laugh is on them as I ride off into the sunset!